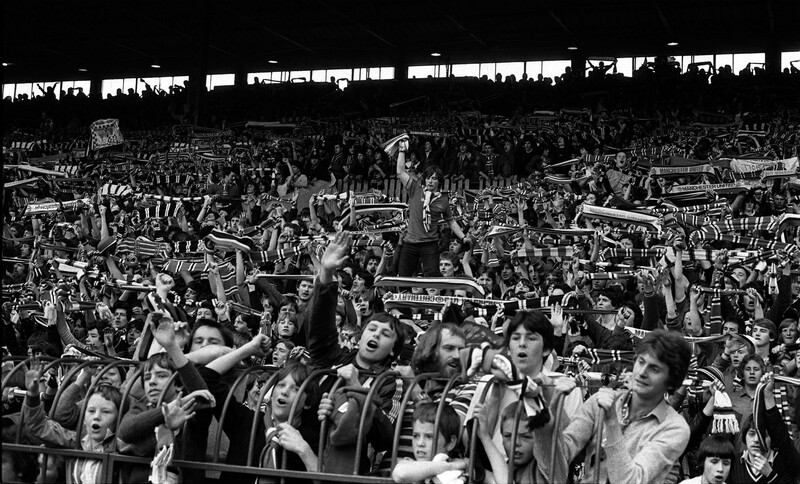 The modern-day Old Trafford rarely escapes the eyes of those who visit the city of Manchester. It isn’t the most towering of structures in the city’s skyline, but it’s one of the most iconic ones as far as football fans are concerned. It’s a building that has withstood the test of time and stands as a testament to what Manchester United have been through down the years. The Theatre of Dreams has seen it all. From the club being on the brink of bankruptcy to the Munich Air Disaster, the World War Two bombings and even relegation, remarkably it’s still with us. It has witnessed the club achieve the impossible dream and grow into a giant of world sport. At the turn of the 20th century, professionalism was slowly making inroads in football. It wasn’t just a period of professionalism in England, but one where the prominence of the sport was on a gradual augmentation. While glamour and money hadn’t yet crept into the game, the support for many inner-city clubs was growing by the week. Manchester United, then known as Newton Heath LYR, were barely recognisable in Lancashire. While they had endured an inconsistent start to life in football, Newton Heath had won the Lancashire Cup in 1898, upsetting a far more prominent Blackburn Rovers side in the final. Though the triumph was a big deal for a club like Newton Heath, it did little to ease their financial troubles. Wearing green and gold instead of red and white, financial problems had been mounting ever since the Heathens began playing in the Football League in 1892. In what was a stark contrast to the modern-day megastructure of Old Trafford, the club used to play its home games at Bank Street, a rundown stadium that was located next to a factory. At a financially precarious point, having to call off games due to smoke billowing from the chimneys next door didn’t help matters. Games at Bank Street were occasions when around 7,000 fans huddled up under one small stand along the touchline. The Heathens had moved into Bank Street early on during the beginning of the Football League when L&Y Railways had handed the club an eviction notice for their former home, North Road, which had gobbled up funds for improvement. An attempt was made to increase the size of Bank Street as two new stands were brought across from North Road, but the effort to augment the capacity was rendered useless and the stands were sold for just £100. As the problems mounted, the Heathens endured relegation from the First Division during their second season in the Football League. Some of the money the club had left was shelled out on a libel case that the Birmingham Daily Gazette had imposed upon them for using “brutality’” in a 4-1 win over West Bromwich Albion. At the turn of the century, the club had become a Second Division side. But the financial issues showed no signs of ceasing. As an end to the troubles seemed in sight, the club’s owner, William Healey, took the Heathens to court in an attempt to reclaim the £242 that he was owed. When the club failed to repay the debt, it rose to £2,500 pounds, and Newton Heath were subsequently declared bankrupt. Bank Street was closed down and the fate that had engulfed the likes of New Brighton Tower and Burton Swifts seemed destined to swallow Newton Heath too. The state of the club is reflected in the team photos at the time. At the feet of captain Harry Stafford was a donations box. The club was left to survive on the charity of the fans. As fundraising became a priority for mere survival, Stafford played a vital role. In the same photo, you may be surprised to see a St. Bernard called Major sitting in front of the players. He isn’t there for publicity; Major had a bigger role to play than the players themselves. 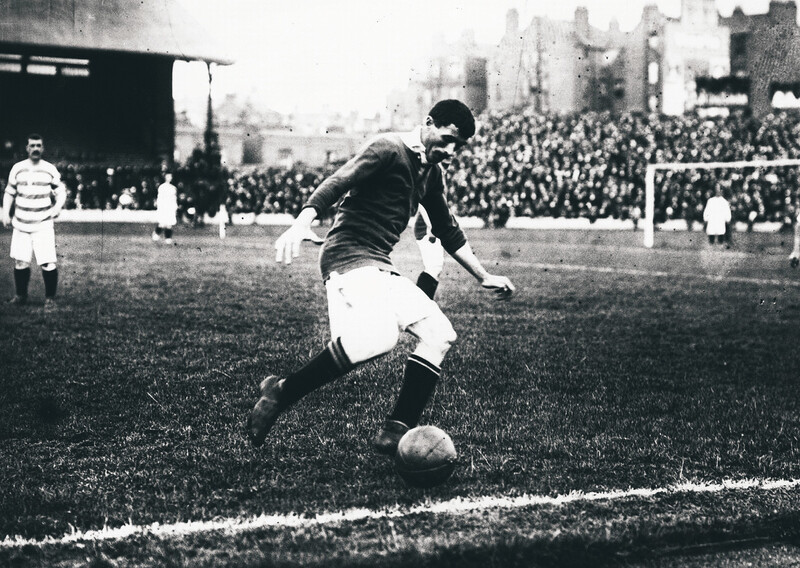 The club was strapped for cash in February 1901 and Stafford, who has gone down in history as the first Manchester United captain, took up the responsibility of raising some money for the Heathens. A talented defender who had joined the club in 1896 from Crewe Alexandra, Stafford established himself as captain in 1897. In February 1901, he took the lead in organising a four-day fundraising bazaar at St. James’ Hall in Manchester city centre in an attempt to generate some much-needed income. The aim was to recover over a third of the £2,670 pounds worth of debt. On realising that little was being raised, an alternative way of accumulating money was adopted: Major was sent across the city to collect spare change in a tin around his neck. Despite Stafford’s efforts, the bazaar failed, and on the afternoon of the last day in the city centre, Major went missing. It seemed as if a ray of hope had vanished. The club’s players, especially Stafford, were in despair. If the impending doom wasn’t enough, this was a kick in the rear for the club. They had lost what the official Manchester United site calls its mascot. The despair, however, only lasted a short while as a teammate of Stafford’s spotted an advert about a dog that had been found in a pub that fell under the famous Manchester Brewery. With nothing to lose and everything to gain, the search for Major began. As fate would have it, a man called John Henry Davies had been the one to find him. Born in Staffordshire, Davies had taken over the Walker and Homfray Brewery in 1902 and was on the verge of taking full control of the Manchester Brewery, which ran a large number of pubs in Salford and Manchester. At the time, Davies was looking for a dog to gift his daughter on her upcoming birthday. When he stumbled upon Major, he knew he’d found the right one, and let Stafford know this when they met at one of Davies’ breweries. A deal was proposed, and the terms offered satisfied the demands of both parties. Davies would purchase Newton Heath, and take Major as a mark of gratitude. Sadly, the dog would no longer be either Stafford’s or Newton Heath’s, but the club would at least survive. In March 1902, a meeting was held at New Islington Hall to discuss the club’s immediate future. Stafford announced that he had agreed to invest £200 in Newton Heath, along with Davies and three other local businessmen of Manchester. This came at a time when the club needed it most and two months after a winding-up order had been issued. As soon as Davies took charge, he was intent on imposing control on affairs at Newton Heath. He settled all the club’s debts and embarked on a journey that would see Newton Heath transform into the goliath it is today. 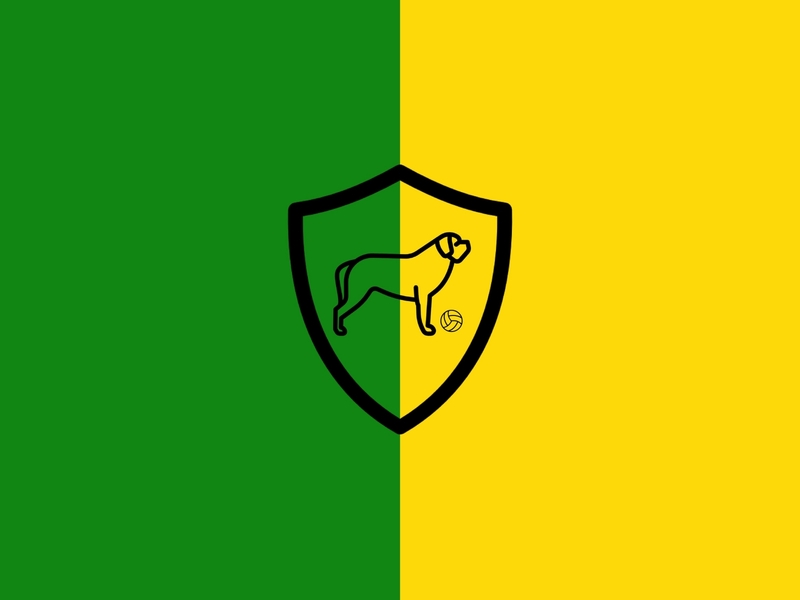 A key part of that new beginning was changing the club’s colours to red and white from green and gold. Ernest Magnall, who had helped Burnley survive relegation and had kept them up during troubled times, was roped in as a manager. The name of the club was also changed and was seen as an indispensable part of marking a new beginning. After all, Newton Heath hadn’t actually been on the Heath for almost a decade. Another meeting was held in April 1902 and the topic of discussion was the club’s name. A 19-year-old fan called Louis Rocca suggested ‘Manchester United’, but it wasn’t met with much interest. The names ‘Manchester Central’ and ‘Manchester Celtic’ were put forward, but the former was rejected as it sounded more like a railway station while the latter was put down quickly because of its industrial links. It all came down to the name that was first proposed by young Rocca – Manchester United. Rocca later became Manchester United’s chief fixer. He took up the roles of scout, assistant manager, and caretaker manager. He is also credited as the man who put United in touch with Matt Busby in the early 1940s. He remains one of the Red Devils’ most under-appreciated heroes. After the meeting in April 1902 ended, Major was given a treat, and he spent the rest of his life loved, just like he had been during his years with Harry Stafford and Newton Heath. After all, if not for him, there may never have been a Manchester United.